Established in 2003, Chaudhari Atarsingh Yadav Memorial Education Trust started Siddhant college of Pharmacy in 2004 with the motive to woo rural students into the pharmacy industry. Recognised by the Government of Maharashtra, approved by AICTE& PCI, New Delhi and affiliated to the SavitribaiPhule Pune University, Siddhant College is the only pharmacy institute situated in Sudumbare - an obscure village near Pune. Understanding the financial hurdles that the economically backward students have to face for a quality higher education,the institute provides a certain amount as a scholarship to facilitate their education. This provision is a benefitfor many students, especially the women students, as their enrolment has always been significantly higher. "We get students majorly from the rural areas. Along with graduation, we emphasise on the development of personality and the right attitude as a Professional. We treat our students as professionals from the day one and mould them to utilise their optimum potential to quench the requirement of the nation," says Dr R. K. Dumbre, Principal, Siddhant College of Pharmacy. Despite being located away from an urban setup, the campus of Siddhant College is enabled with high-tech infrastructural facilities like Wi-Fi connection, research labs, ultra-modern facilities and interiors of international standards and so on. Siddhant College has tie-ups with Citron life sciences, and many other hospitals where the students participate in various medical camps. The students at the SiddhantCollege campus get the opportunity to interact with students from multiple professions and modern technologies such as Information Technology, Business Management and so on. The Institute encourages students to participate in events like National survey scheme, social work, Swachh Bharat Abhiyan, organising medical camp in rural places and so on. "Our students are highly motivated and are getting practical based training from the professionals," adds Dr. Dumbre. Siddhant College has tie-ups with Citron life sciences, and many other hospitals where the students participate in various medical camps. The Institute believes that academic excellence is achieved through experienced and highly qualified dedicated core faculty. The teaching-learning process at Siddhant College emphasises on personalised attention where students of all socioeconomic backgrounds feel comfortable. "We have eight doctorate faculty and they have research projects sanctioned by the central government of India like ICMR. Secondly, our staffs are also entrepreneurs, who have done a lot in productive markets where we launch the products that benefit the patient," pinpoints Dr. Dumbre. With advanced facilities for international standardresearch,the institute encourages the alumni members and faculties to help the students in the field of research. "We have our R & D where we do commercial research. Many of our students are getting placed in pharmaceuticals are coming and working in our research labs. Our alumni are working in the area of research, production, marketing and so on. Most of them are either working in the industry or having their own start-ups," says Dr. Dumbre. The Institute's focus is on giving Industry-based training, which further helps the students to be placed in renowned companies. They provide career guidance to students through well-established and dedicated training and placement cell, which ensures that the students are properly trained and guided to become competent in the world of globalisation. The placement cell provides career services, soft skill sessions, personality development sessions, interview skills, guest lectures, project exhibition, higher education guidance, which helps the students to develop their overall personality. The Placement department of the Siddhant College helps in creating maximum opportunities for the students and creates a good relationship with the industries. Many renowned companies visit the campus to recruit students who are placed even before the commencement of their final year. "Many companies like TCS, Cognizant, Sun, Emcure, Lupin, Cipla, Cadila and many more have selected our students till date. Our students get a salary package where the maximum salary package starts from 7.5 lakhs to minimum of 2.5 lakhs," says Dr. Dumbre. The main objective of Siddhant Group of Institutions is to invite world-class companies for campus recruitment and motivate students to pursue a career in research and development and so on. They also train students from other colleges who want training from industry professionals. They are planning to provide objective oriented research, which will benefit the public. 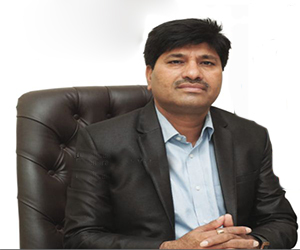 Dr. Rahul K. Dumbre is the current Principal of the Siddhant College of Pharmacy. He completed M. Pharm project on "Phytochemical and immunomodulatory activity studies of herbal drug formulation developed for AIDS" and also completed his PhD in area of Phyto-Pharmacology. He is a consultant and published several research papers in area of herbal drug research. He had provided a training programs for development of soft supportive skills of students.